Vroom, zoom, boom! Here's an action-packed collection of car cartoons and stories. When a JCB Digger vehicle gets to work on a city road, no one realizes how much confusion it will cause! 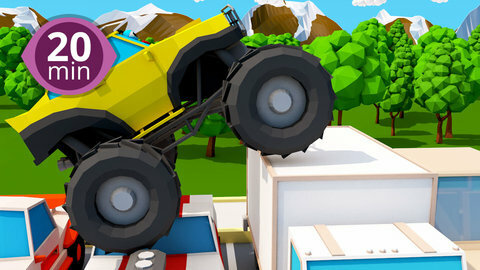 A careless monster truck that passes by collides with the construction zone and brings traffic to a noisy halt. Stay tuned to find out how the situation is resolved! Go to SeeZisKids to find more free 3D car cartoons for kids.